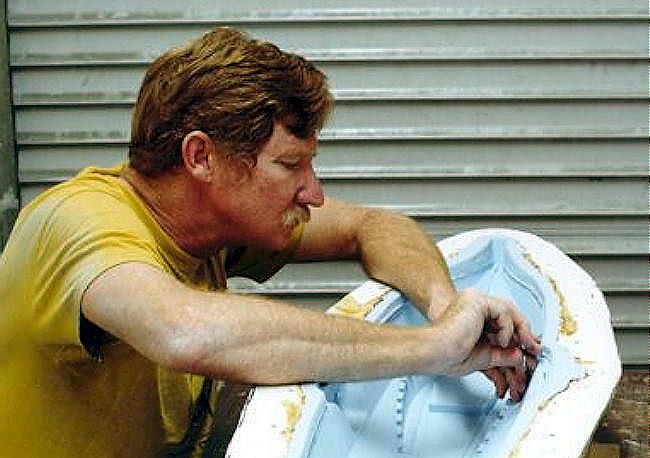 Scott Brodeen molding the CUSTOM REPLICAS 66-inch NAUTILUS. 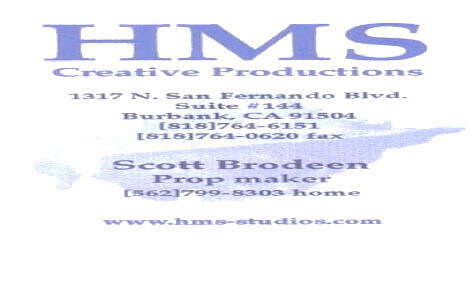 Like his associate Jim Key, Brodeen is a prop maker and a creator of prototypes. Working on the negative rubber mold for the 66-incher’s upper hull half. 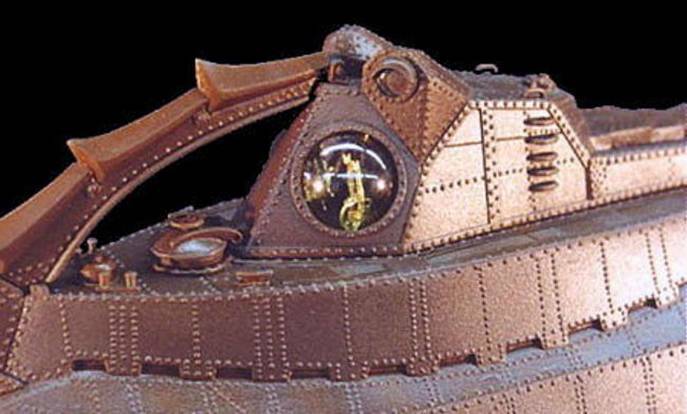 For the 66-incher, Jim Key mapped the rivet locations with a writing instrument, and then Scott Brodeen created the rivets one at a time, by applying tiny beads of JB-Weld glue to the surface with a finely pointed dental tool. 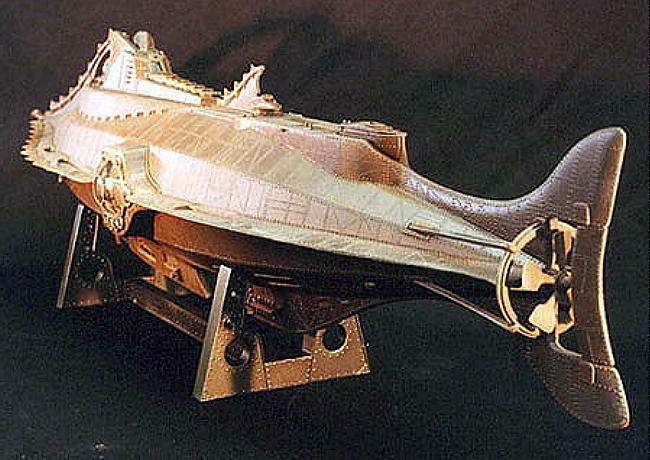 The ICONS 30.5 inch NAUTILUS replica stems from a prototype made by Scott Brodeen. 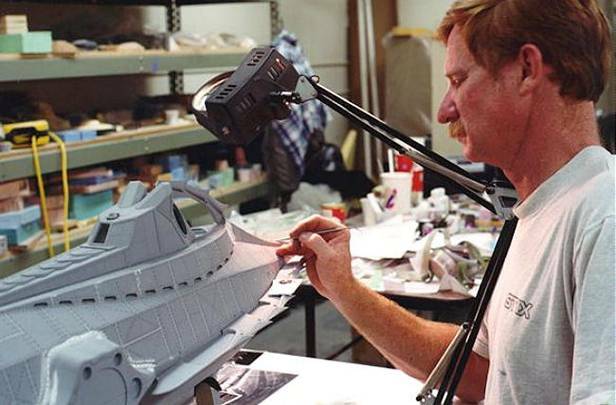 Years ago, Scott’s prototype 16-incher was sold via the DISNEYANA Store. These are very heavy, solid cast replicas, and came mounted on a wooden base with an engraved nameplate. 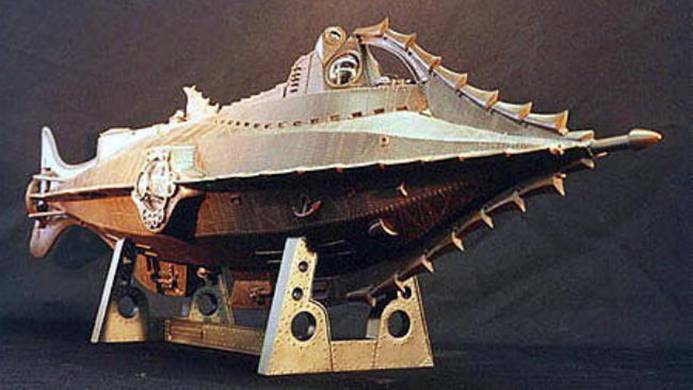 I bought my Brodeen 16-incher from the Disneyana store back in ’91 after I'd finished the proving tests for the Nautilus Minisub; it came with a wooden plaque like the one shown above, except the cradle mounts were different. 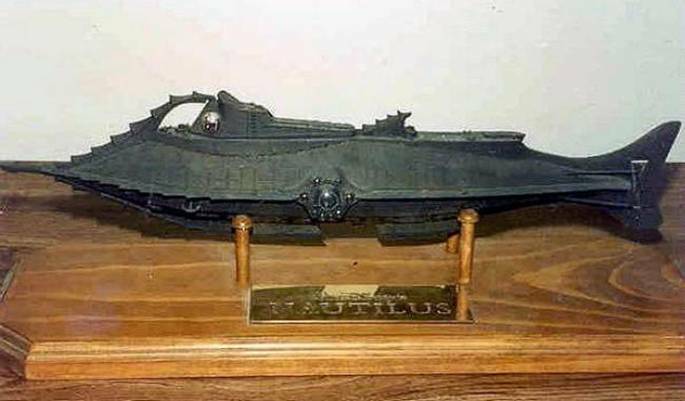 I wanted to turn it into a replica of my submarine, so I made a scale model trailer out of thin steel stock and strips of wood, and it’s been on display in my home ever since. We’ve used this model to explain launching procedures to our crew. Here’s a picture of a more-recent 16-incher, on display at the 20K EXPO in Anaheim last July. 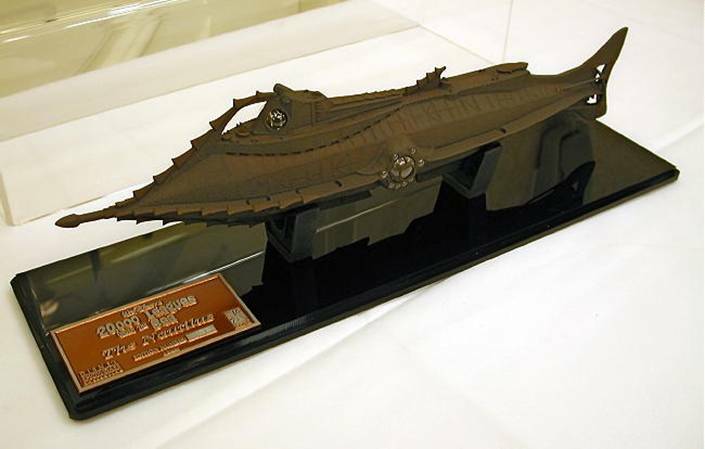 And this is the new-and-improved version of Brodeen’s 30.5 inch NAUTILUS on display at the 20K EXPO.